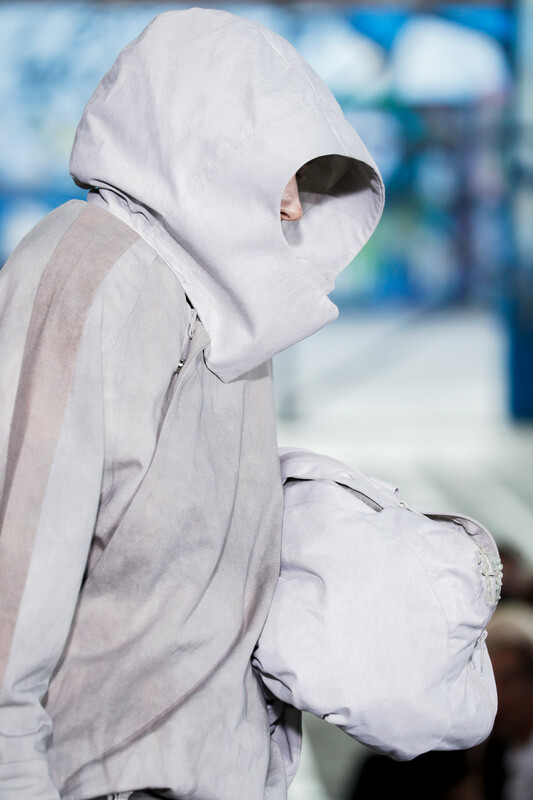 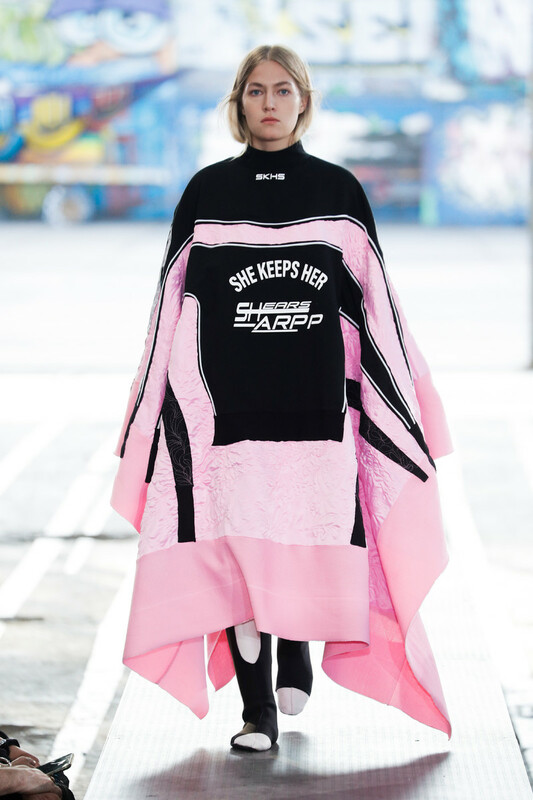 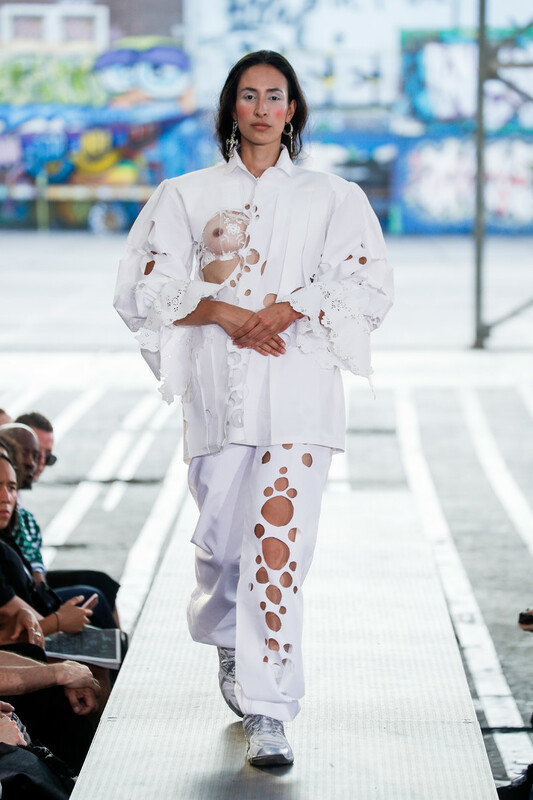 In a show that spoke of nowness instead of newness (what will happen to our fashion sensibility when we stop saying so much and just focus on being) we went back and forth from clean cut, ultra wearable designs to super conceptual, architectonical creations. 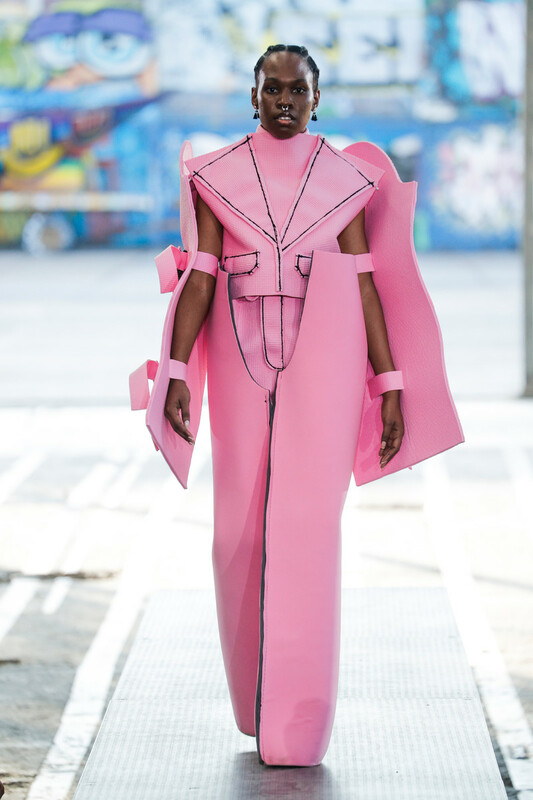 In search of a big bang to change the language of fashion and start all over again with a new set of rules (instead of self refernting all the time) the collections showed us completely new and futuristic ideas of what we should wear (along with some reinterpretations of former styles/trends). 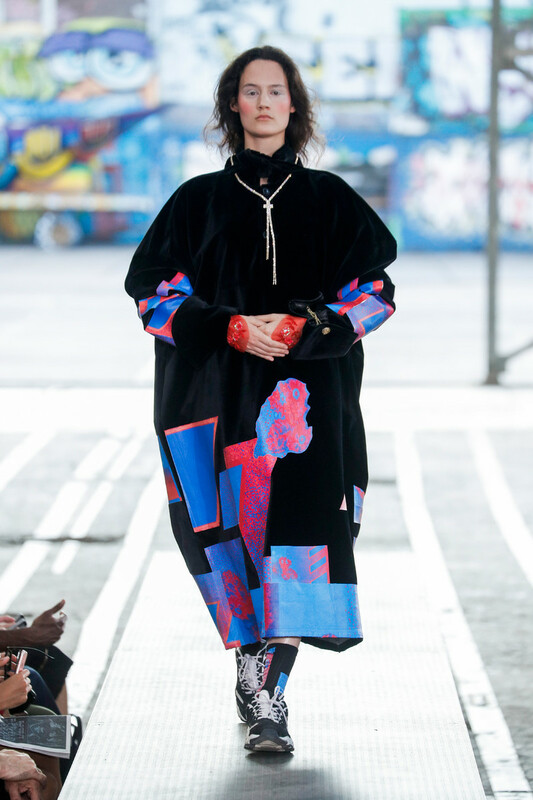 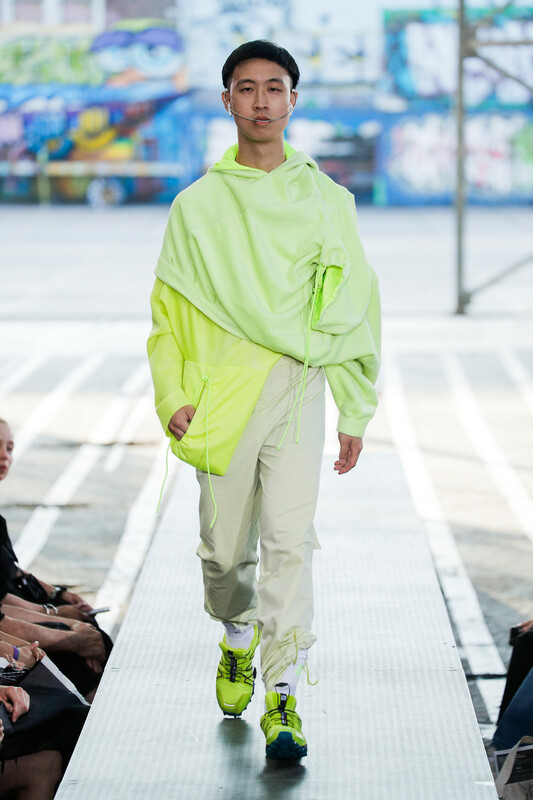 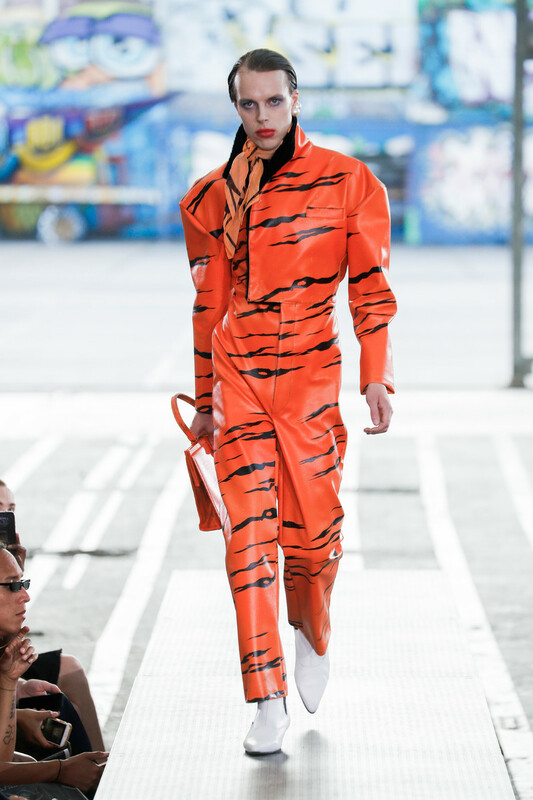 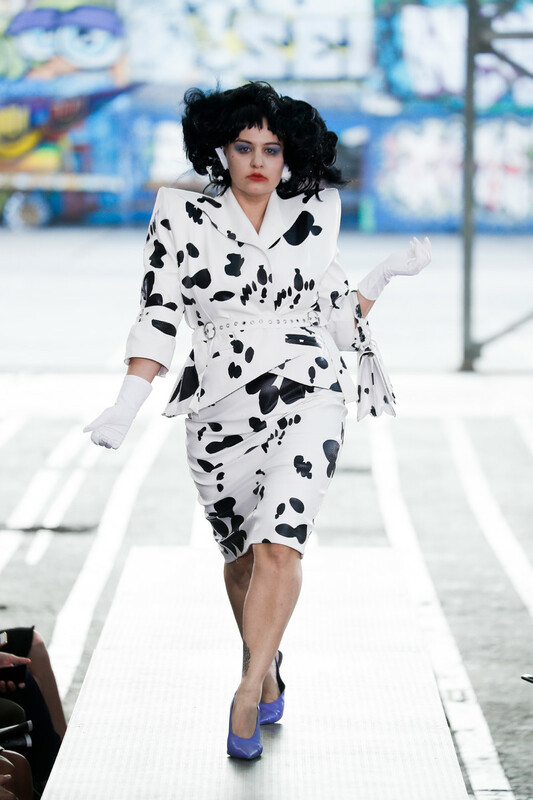 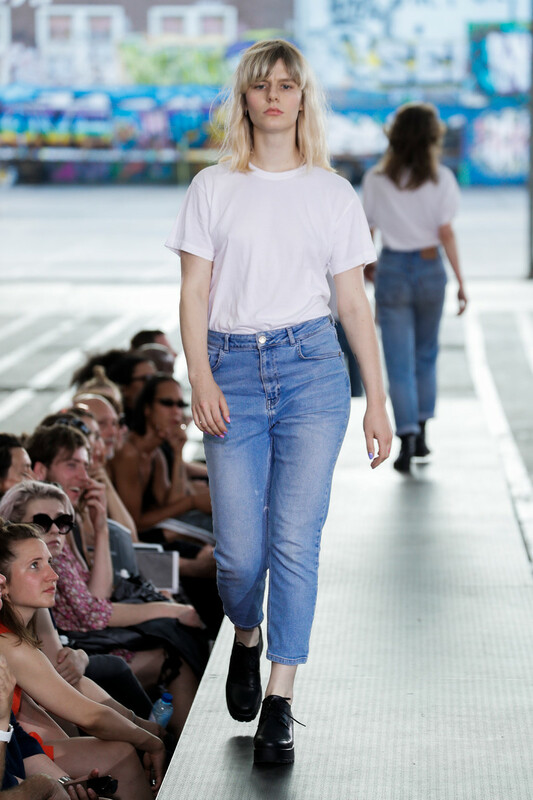 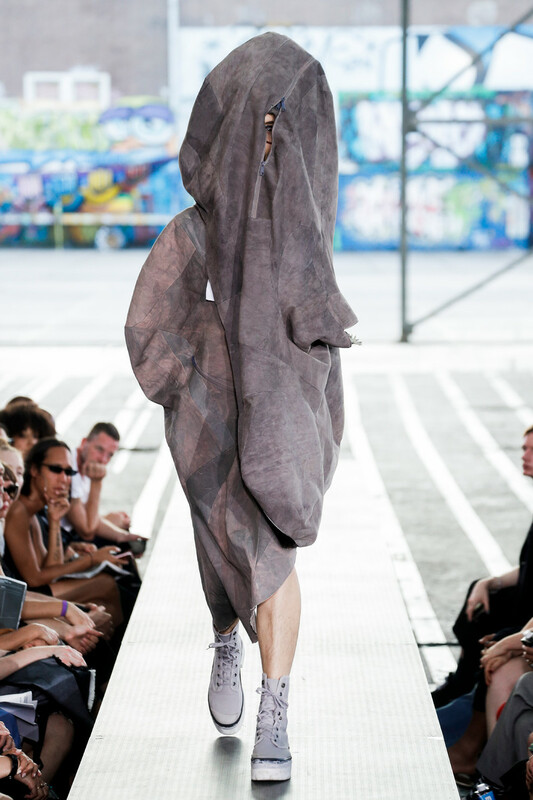 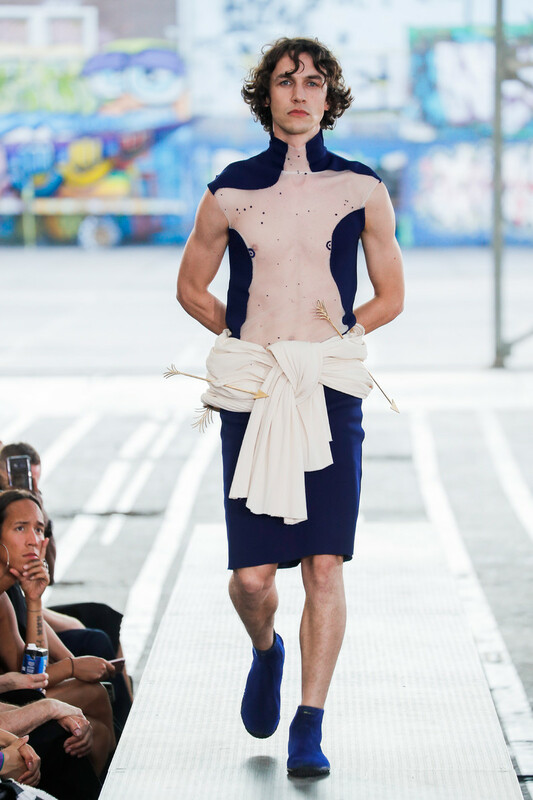 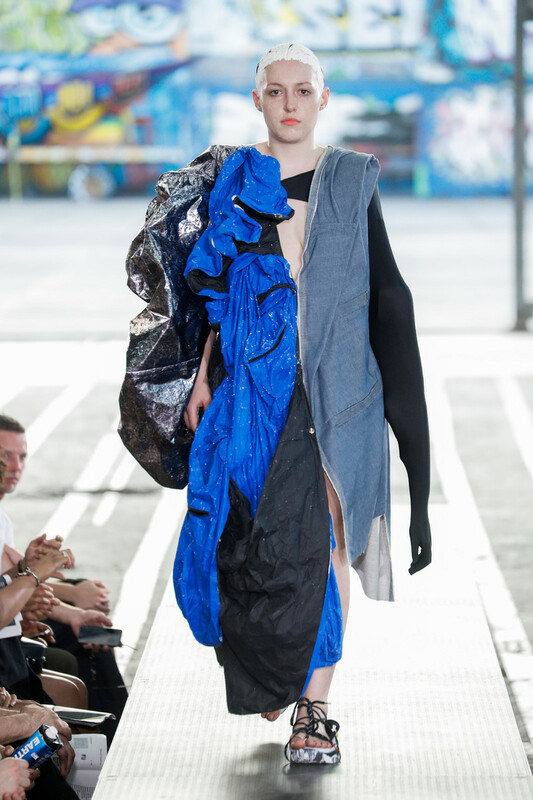 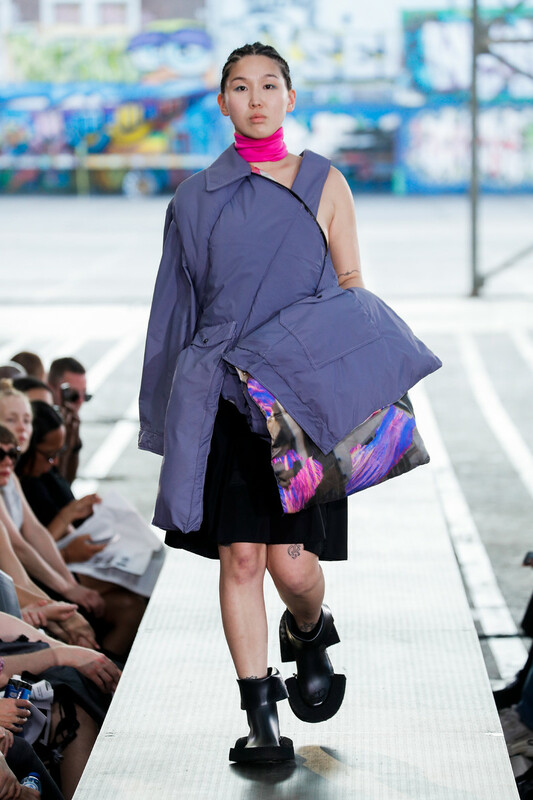 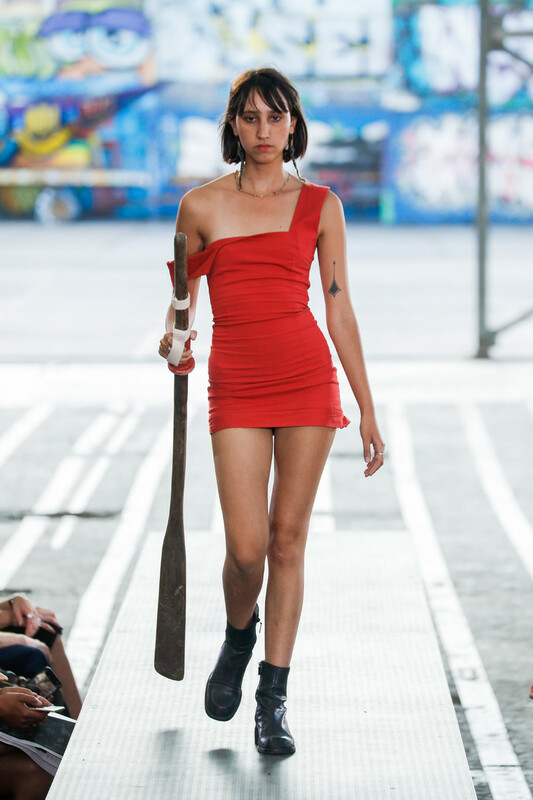 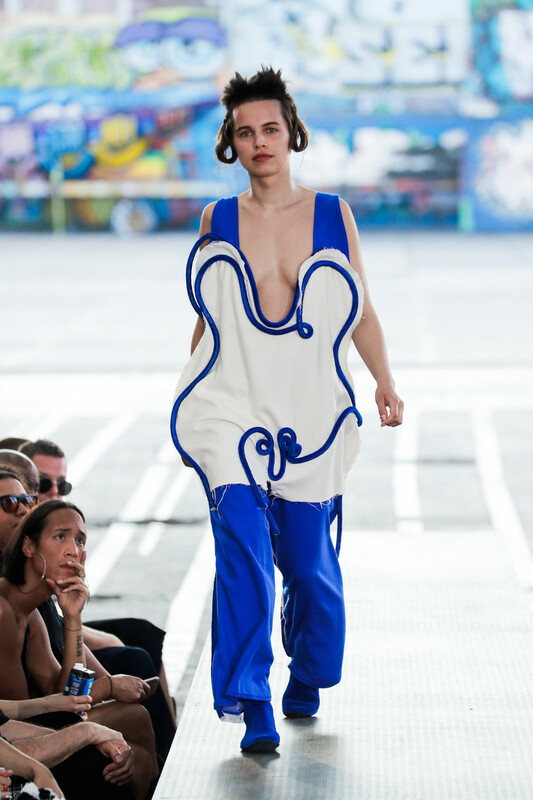 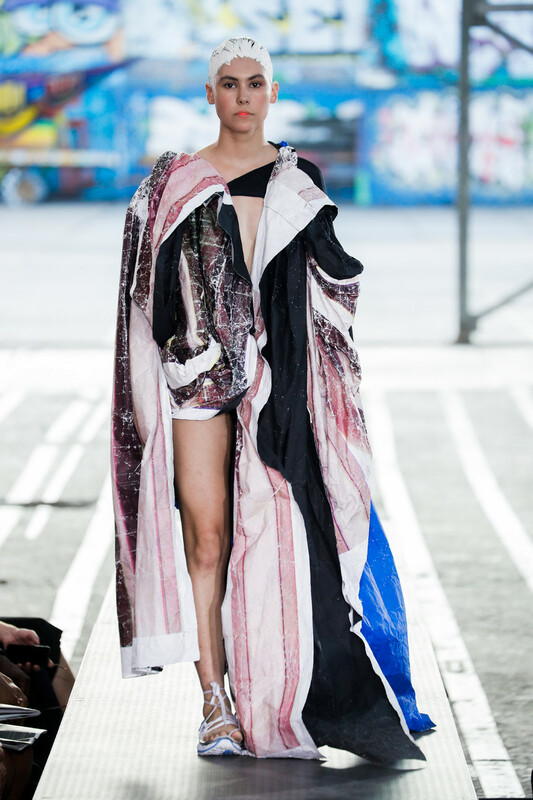 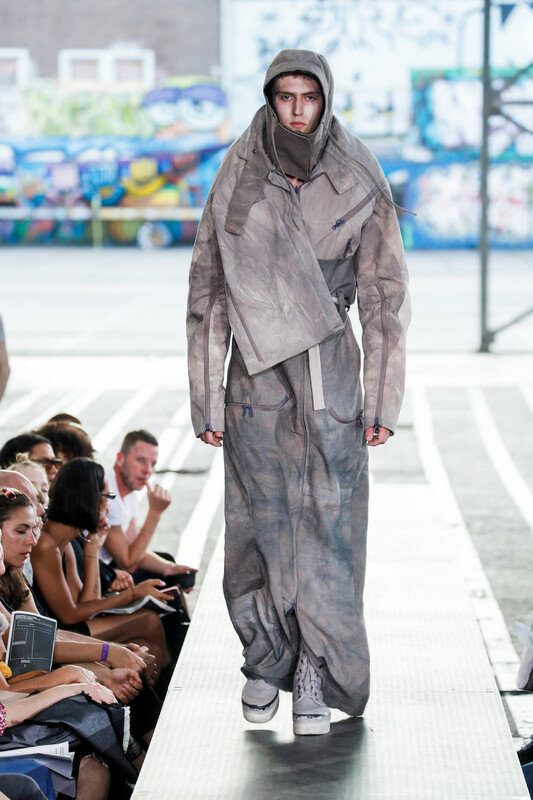 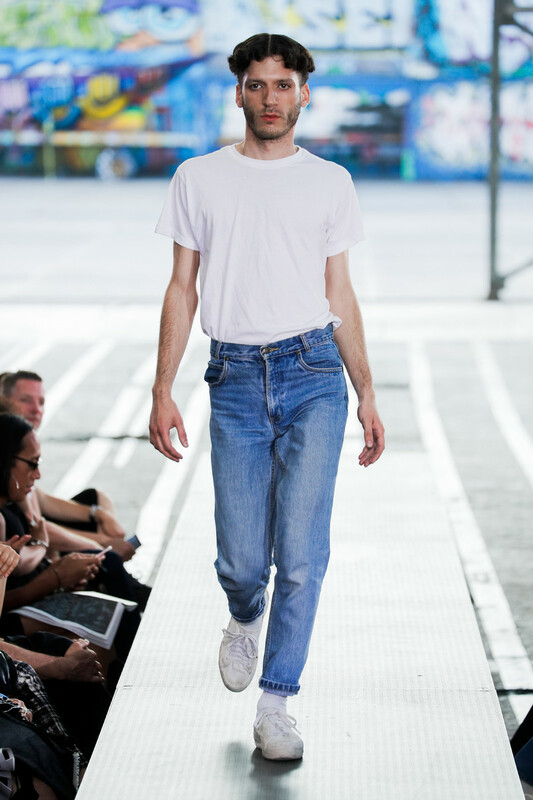 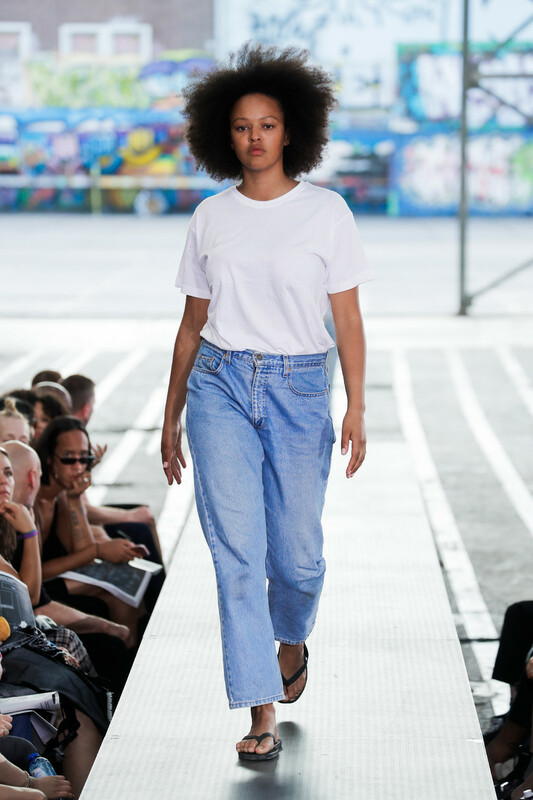 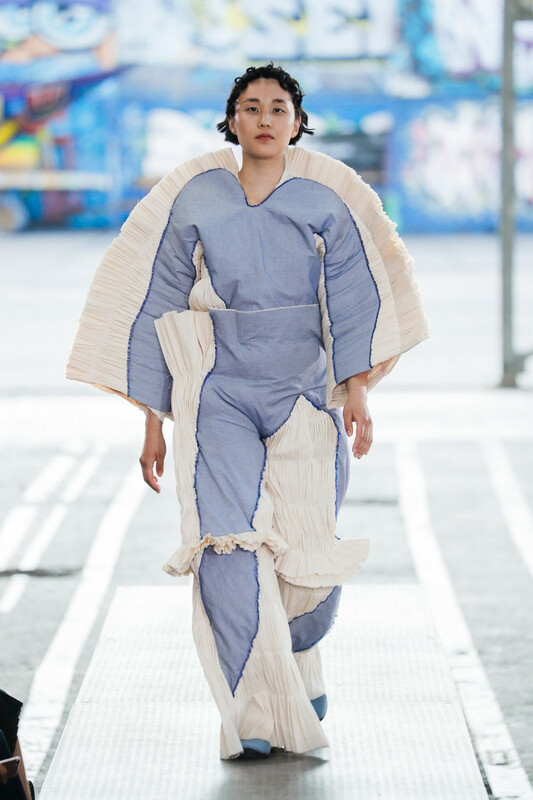 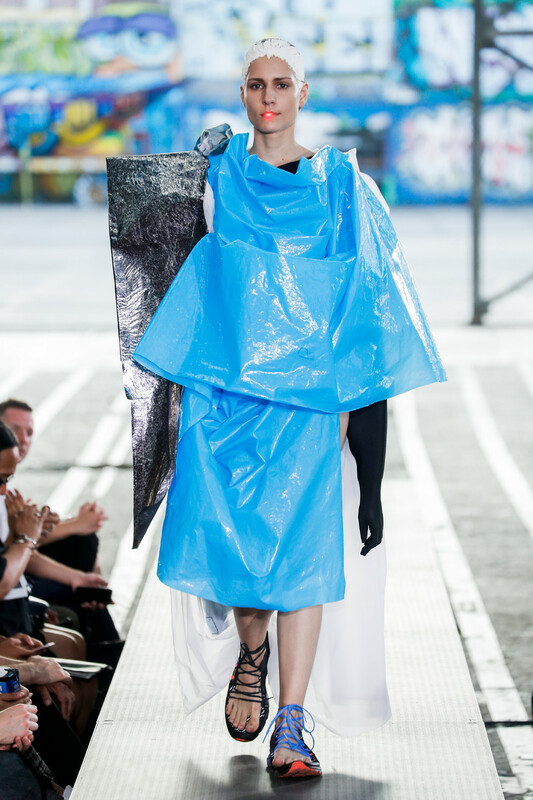 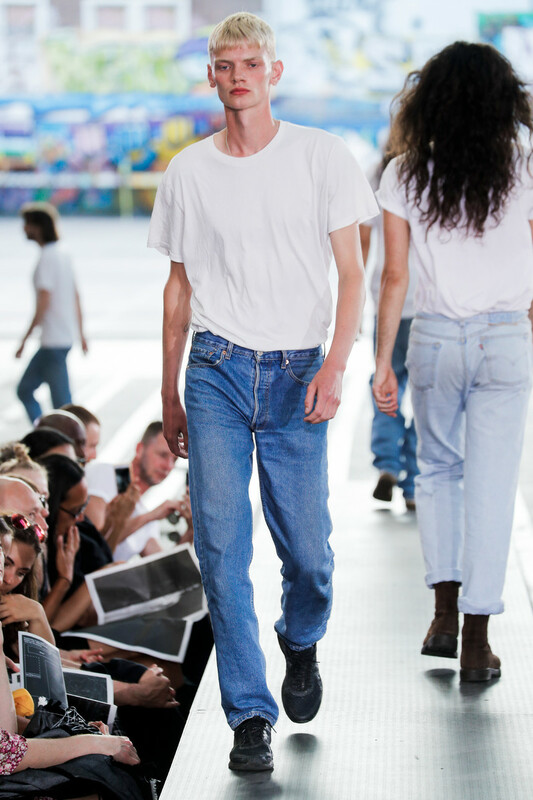 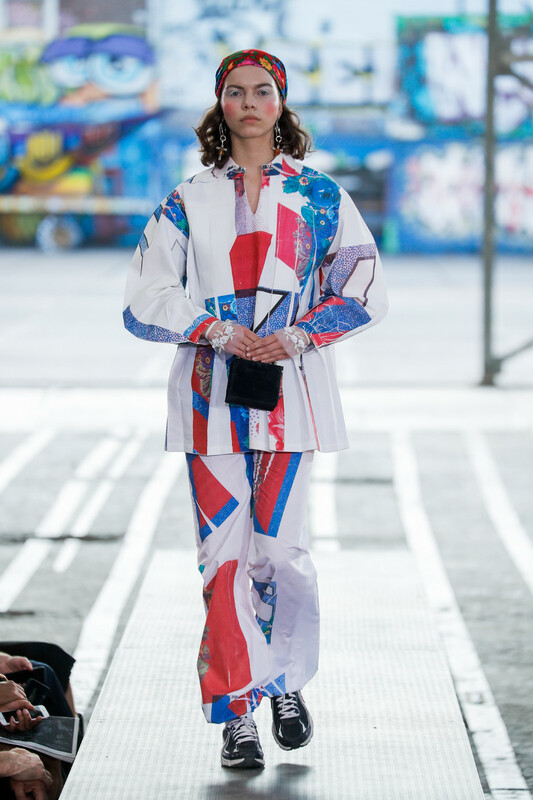 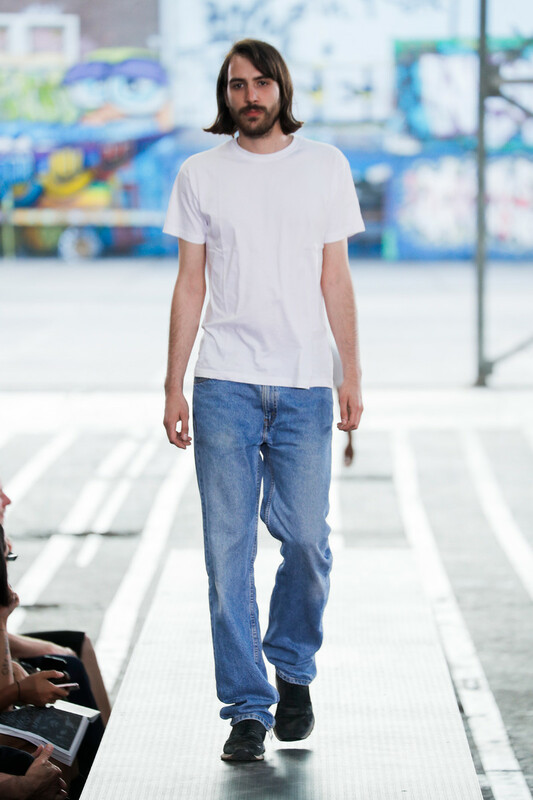 From extremely basic (Sonia Oet’s “cold Turkey” blue jeans and a white tee) to out of the box crazy (Liselot Elzinga’s colourful, 3D designs (inspired by anything ‘staged’) – not to mention the models bizarre way of walking. 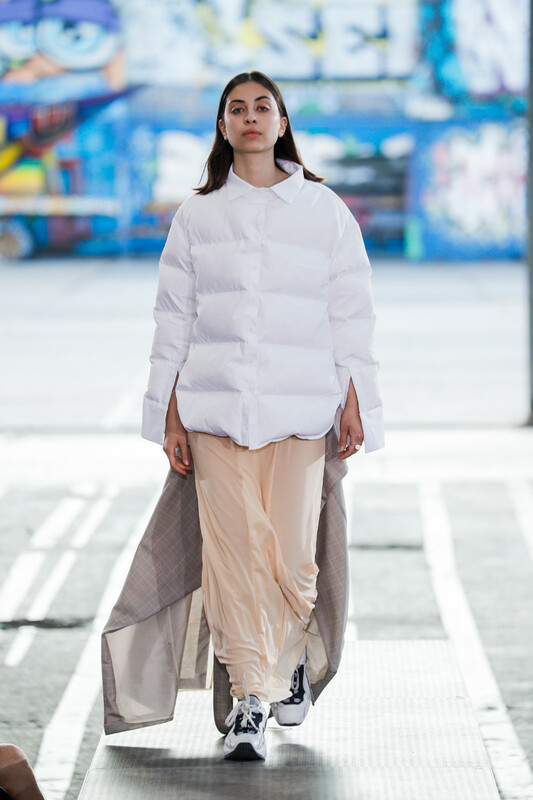 From A.M Sorensen’s (a personal favorite) clean and quite Scandinvian line up to Nikola Čemanová back to nature’s, next to nothing designs (a collection of garments behind which there is no pre-conceptualised idea other than the materials being used). 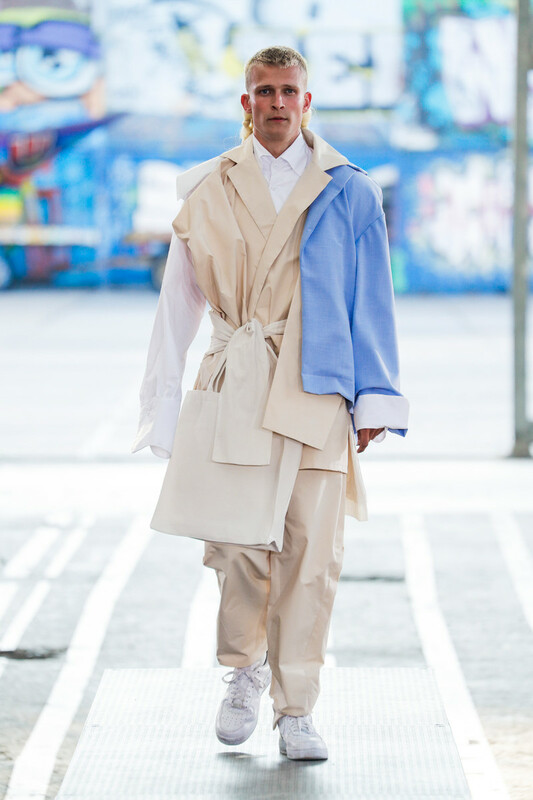 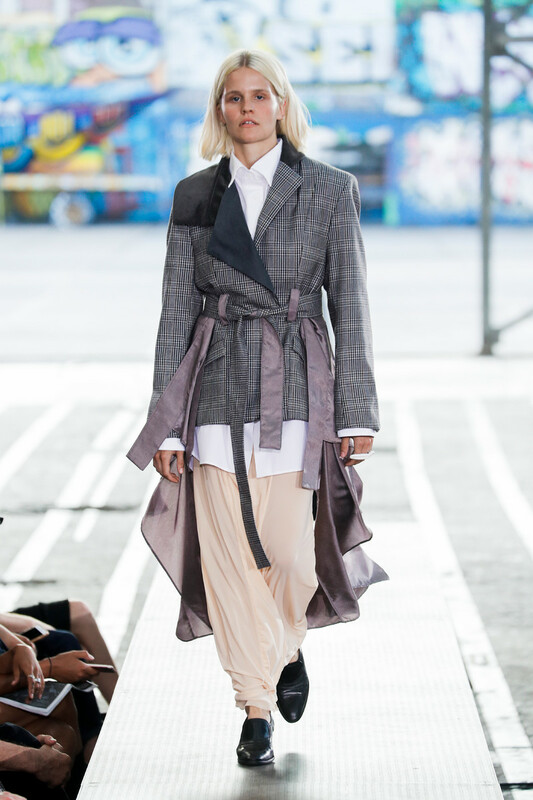 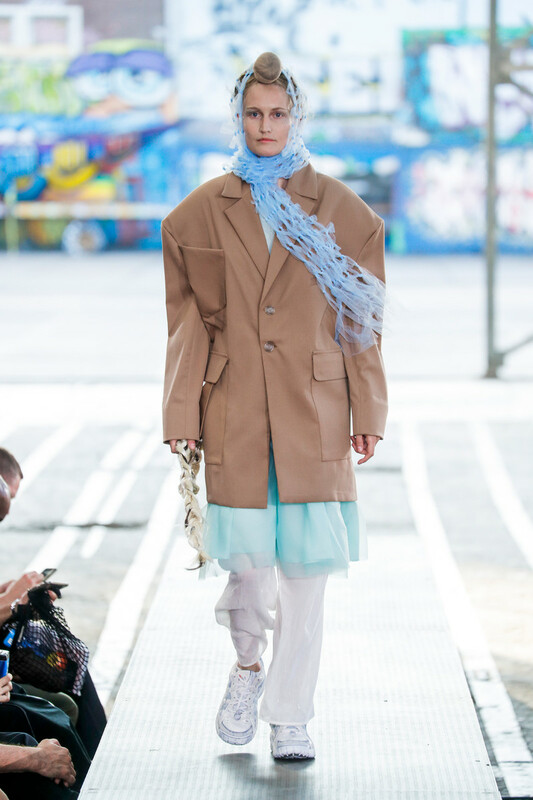 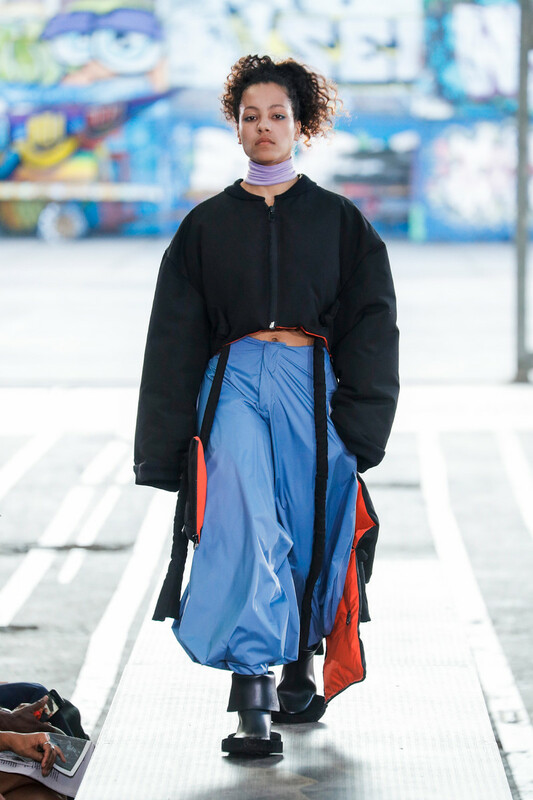 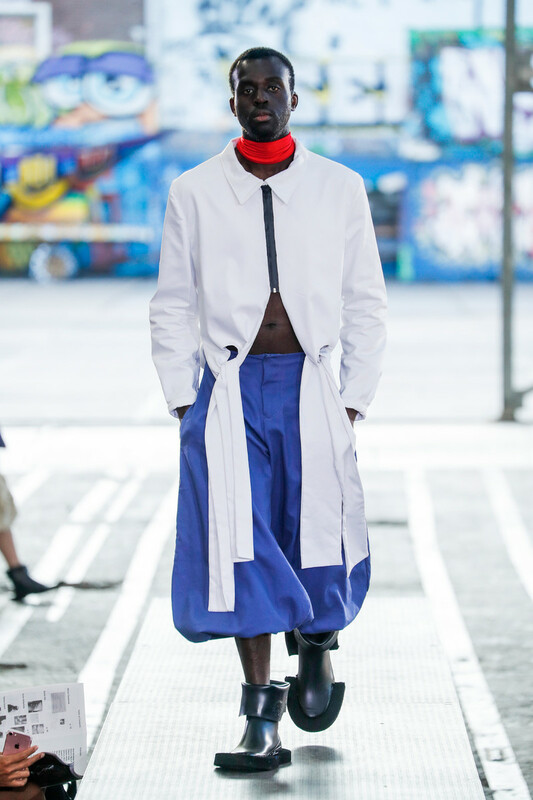 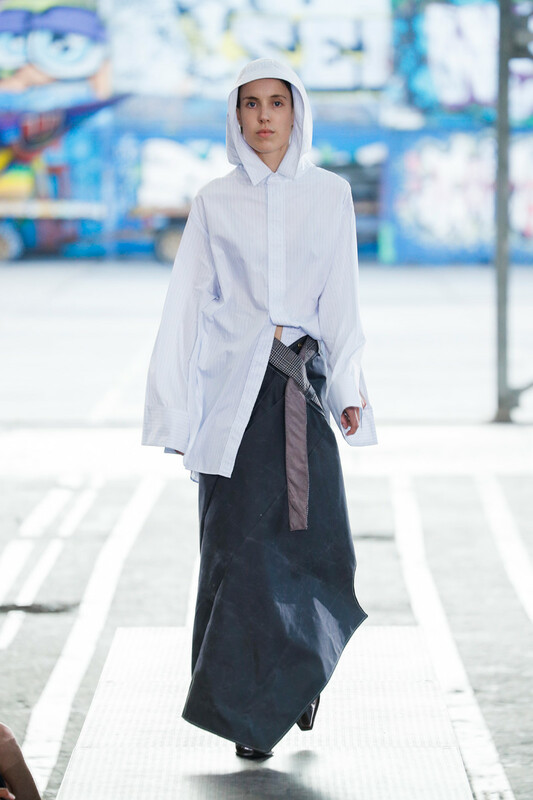 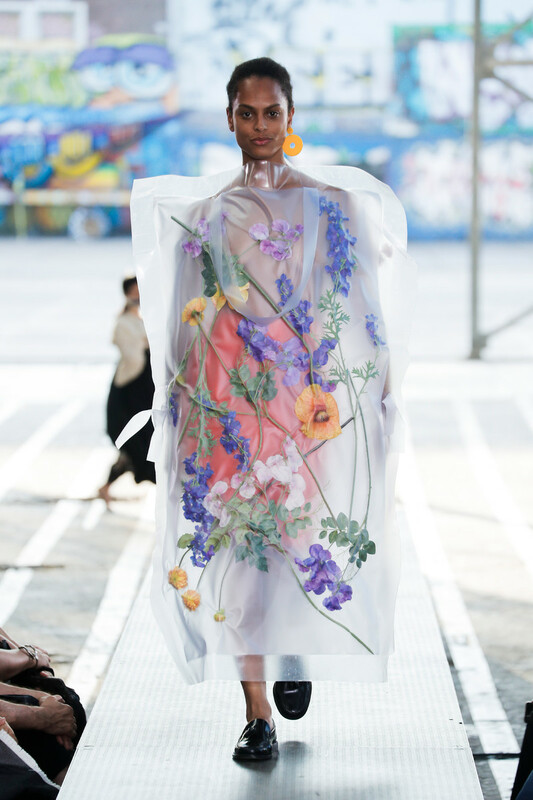 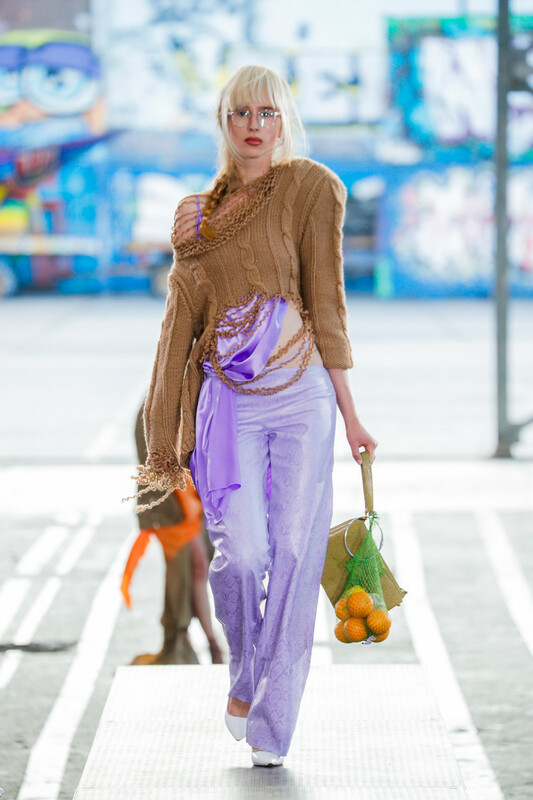 From Jahmuna McClean’s (another personal favorite) pastel shaded, deconstructed and layered creations (inspired by her parents wardrobe, family photos and memories of India) to Tatiana Quard’s Tokyo inspired sporty and oversized collection. 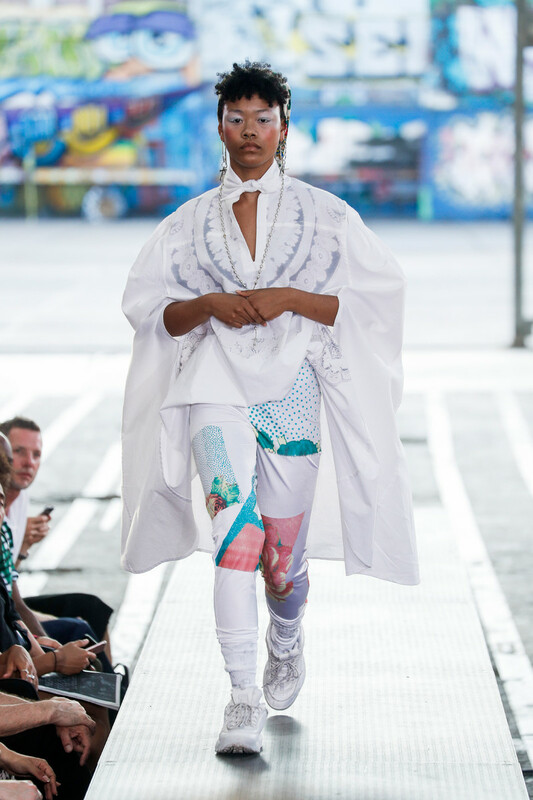 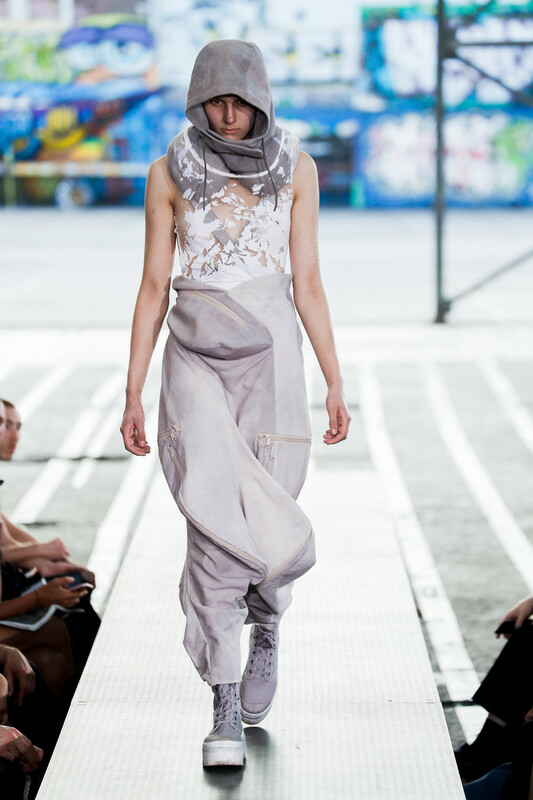 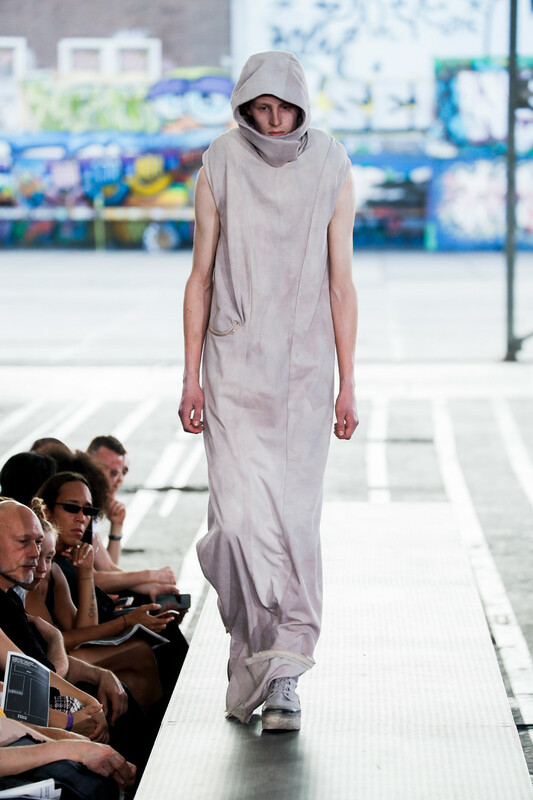 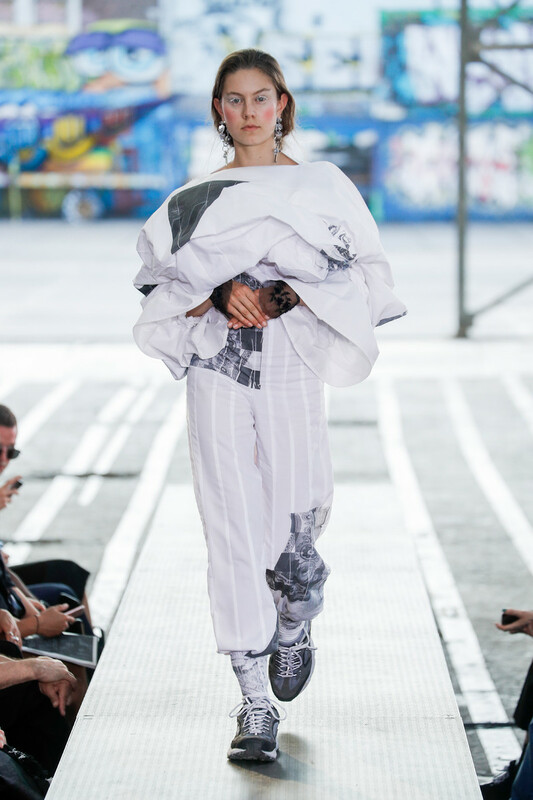 Twelve inspiring collections form twelve fresh graduates who without a doubt all will find there place in fashion. 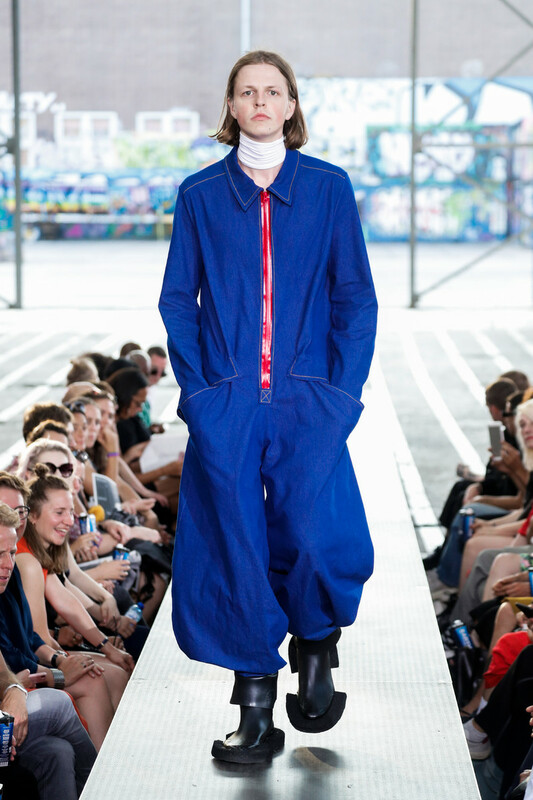 Whether they’ll stay in Amsterdam or pursue their career in fashion internationally, there was enough talent for a future filled with fashion. 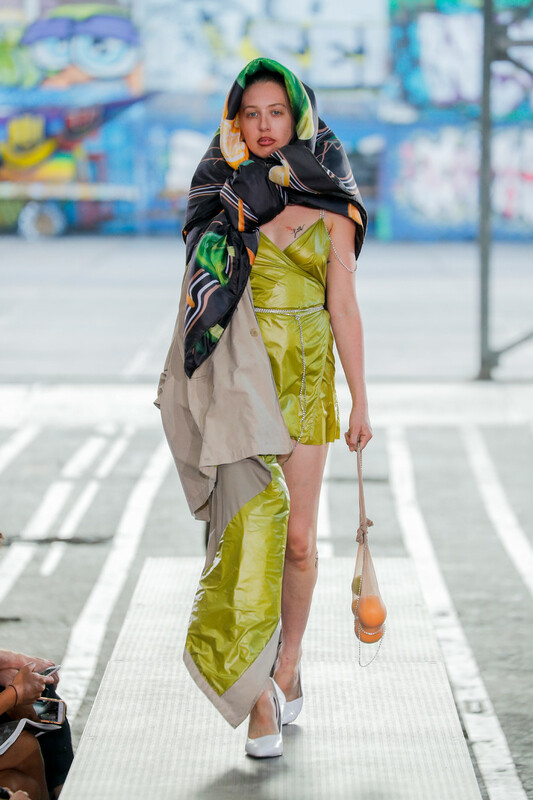 Thanks for a lovely graduation show Nikola Čemanová, Lieselot Elzinga, Yaroslav Glazunov, Edward Liao, Galatée Martin, Jahmuna Mcclean, Yana Monk, Anna Myntekaer, Sonia Oet, Antonina Pawlowicz, Tatiana Quard en Sonia Witwitzka and the best of luck to you!